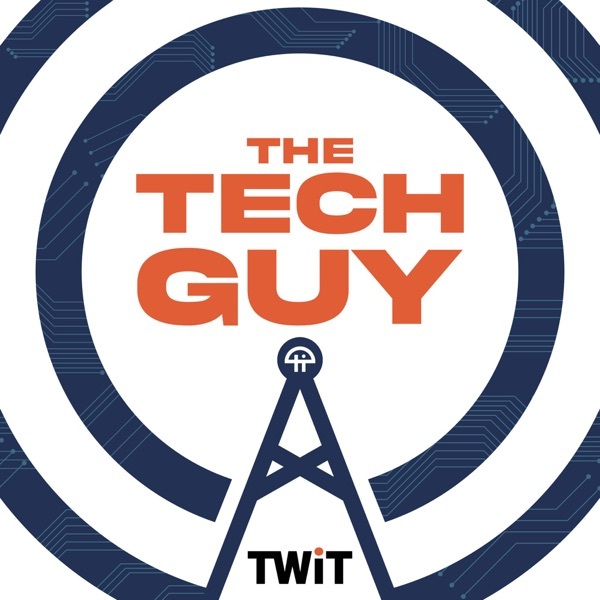 The Tech Guy is my favorite "go to" podcast for things computers, technology, and multimedia. Leo Laporte has a great personality with the knowledge for helping the everyday computer user. Google's announcement about Stadia, a game streaming service which might be a non-starter for some because of data caps, Facebook's latest gaffe, a new report on mobile traffic, unwanted consequences of a Google Chrome browser update, Leo's thoughts on Google messaging, his advice about backing up to the Verizon cloud or not, forgotten YouTube passwords, Johnny Jet, and more of your calls! iPhone X WiFi issues, out of order text messages, blocking unwanted calls, counterfeit SD cards and thumb drives, creating a personal server with a Raspberry Pi, Sam Abuelsamid talks about the new KIA Nero EV, Chris Marquardt discusses shooting the Northern Lights, and more of your calls. Picking a budget Android smartphone, Telsa moves to online sales, finding any location with What3words, how to start municipal WiFi, the best ways to find cheap flight deals with apps like Jetto, ways to digitize your old home video tapes, and more of your calls. Huawei outprices Samsung with a more expensive folding phone, the right equipment to start day trading, can I still use Windows 7 next year? Connecting a Chromebook to a computer monitor, making a living on YouTube, using an Amazon Echo while traveling, is Blu-ray dead? And more of your calls! Managing your music library on Android, choosing between the MacBook Air and MacBook Pro, booking last minute hotels with HotelTonight, transferring your data to a new Windows computer, affordable Android phones, and more of your calls. MacBook Air vs Chromebook, what to do when you've reached the limit of iCloud storage space, what happens to the restore partition when you upgrade Windows, how to root an Android phone, recording multiple tracks of audio from a camera, repurposing a TiVo Roamio, the future of NFC in smartphones, intermittent kernel panics on an old Mac Pro, connecting an Android phone to a TV, and Sam Abuelsamid joins Leo to talk about a new all-electric pickup truck called the Rivian. Homeowners suing Niantic, the creators of Pokemon Go, regarding PokeStop placements. Plus, dual booting MacOS and Windows, Scott's impressions of the film Alita: Battle Angel, the tragedy of the modern iPad, the issue with internet speed tests, Johnny Jet's take on turbulence, the Passport Booth app for free 2x2 photos, the significance of Augmented Reality, cutting out expensive cable, the system-wide phone call harassment problem, and more of your calls.